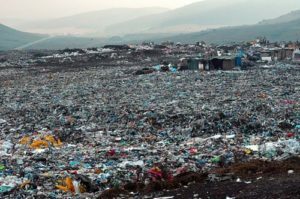 Want to see what is at the other end of our throw-away society? 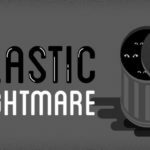 Read the guest article below written by our Zero Waste member in Romania. Edmond Kreibik and Alex Molnar share a common passion, photography. Almost two weeks ago, their Nikon lenses were immortalizing another dimension of human existence, the Pata Rat slum. 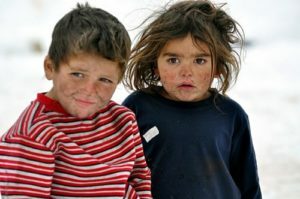 The pictures published in the social media raised fast a momentum of interest on the issue, which led to the organization of a charitable action. Pata Rat slum is located at the periphery of the city of Cluj Napoca, Romania, in the heart of Transylvania and covers 18 hectares. 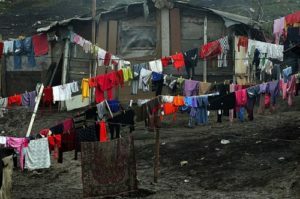 It is the home of three distinct groups of Roma people that live in two neighborhoods, ironically named “Dallas I”, “Dallas II” and a third one that lives up on the Pata Rat landfill, a total of circa 1500 people. The people that live within the landfill perimeter make the case of our journey. First people arrived here in the 60s. Others followed due to a variety of circumstances. 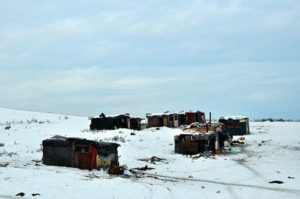 According to Romani Criss1 , 9 years ago, a gypsy community used to follow their nomadic lifestyle, settling their caravan in various places within the Manastur neibourhood, city of Cluj Napoca. They lived peacefully in small cottages, on the periphery of the woods, under the tacit approval of the authorities for 7 years. 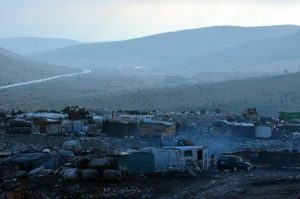 In 2004, they were offered another place to live and the entire caravan was escorted by the police and local municipality to the Pata Rat landfill and dumped there. A year later, in 2005, the police performed a red code search within the small community, and under theft accusations, men, women and children were bitten up, their goods confiscated and cottages burn down along with their identity papers. In 2005 the community counted about 120 people. 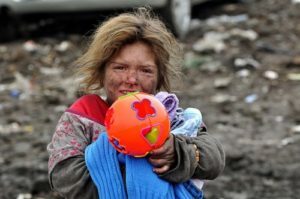 Today, there are almost 300 souls that live within the epicenter of the landfill. 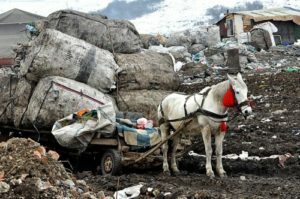 Their lives depend on what we consume and throw away, perceiving our waste as a valuable resource. 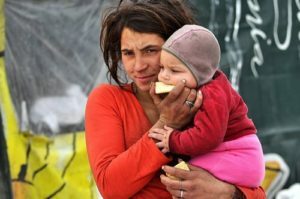 The community is expanding constantly due to the migration of the poor from villages across Transylvania, in their search for work. At Pata Rat, they live in improvised 2 meters high, 4 meters wide cottages made of recovered materials, covered in bitumen and plastic foil with no electricity, nor sewage system. Here, they are providing a service to the honorable citizens by selectively collecting PET bottles, metals, wood, plastic foil and everything that can be reused, repaired or recycled. Pata Rat with over 35.000 cubic meters of waste deposited here daily is a gold mine. A Netherlands based charity built a community center and a school. BrantnerVeres, the city’s main waste operator and the landfill’s owner is sharing warm meals several days a year and water during the hot summer days. They are being remembered around Christmas, mostly by charities, activists and NGOs. According to Vincze Eniko’s report2, a researcher and anti-segregation activist, the current situation has deep roots, which are dated back in the socialist’s attempt to civilize the gypsies by converting them into Romanian workers. A few minutes earlier, 11 people crowded in two cars and a white van packed with goods were being cordially welcomed by a pack of dogs, guardians of the slum. Mr. Fratean, the landfill’s manager was waiting for us. I announced our visit the evening before and Mr. Veres, the landfill’s operator offered to bring the children down at the Community Center, but Edmond, one of the organizers preferred us to go directly to the cottages. We parked the small cars, since the main road was too muddy and the side one was frozen. Hence, the van took the muddy road to the center of the slum and we started walking via the frozen side road. On our right, several dogs, quiet and calm, were watching us, resting in the white snow. Above, noisy crows changed the color of the sky into blue-black. At one point, someone calls Edmond and announces that we were about to get mugged. Two people managed to open the van’s back door. ‘’This must be tradition’’ I say to myself. One of the BrantnerVeres employees that accompanied us saved the day. We all smiled and moved forward crunching with confidence the icy snow beneath our feet until we got up close to the first cottage. Here, the sea of garbage was entailing beneath our eyes for the first time ‘’we must cross to the other side’’ I hear Edmond say and we all followed his lead. We pass through a couch sponge torn apart in tens of small pieces; stepped over iron wires, cardboards, PET bottles, all covered in a muddy snow. Large broken ceramic pipes arise on my left. Everything can be recycled. Close to the van, some people working hard, packing PET bottles. Around, dogs and crows, fighting over territory. We took the bags with food out first and started, well organized, with the cottages from the left corner toward the opposite side. A few children eager to get their goods, learned to their dismay that they have to go home and wait for us. ‘’Please give us something’’ I hear a low voice and turn towards a young men with beard and mustache; his head covered by a large hat was protecting the defeated look in his eyes, while dragging a large bag, filled with plastic bottles, on his shoulders. He was one of the workers. I wish we gave him something. We crossed the slum through a herd of pigs to reach the cottages on the other side, upper on the hill. A woman with a newborn in her arms and a 2-3 year old boy, were waiting outside. The child, with the biggest and saddest blue eyes I’ve ever seen, grabs the bread and runs inside. We learned that his mother died and the young woman was raising him. From the hilly frozen road, in front of us, we hear laughter. Two children were sledging down in a plastic red box. It reminded me of my childhood. We take the road up in order to reach a group of several homes and we meet an older women surrounded by children of various ages. She asks Edmond about some photos he took with her family last time he went there. He promises to bring them in a few weeks. Her smile was kindness. We tell her to come later at the van and get clothes for her ten children. A few cottages later we finished the first round of packages. On the way back, close to the van, I noticed a group of four children holding hands and watching from a distance. The children didn’t go to school. They moved here last year from Bucium village, Salaj County along with their parents to work in the slum. They don’t like it in here, but they don’t know when they are going to leave. They show me one corner of the slum where the Cortorari gypsies lived. I sense fear in their voice. The other day one hit the older sister, when she tried to get water. I go back to the van, stuff my pockets with oranges and find my way back to the kids. So fascinating to hear them all say ‘’thank you’’ in such a genuine and polite manner. As we move, Sorin, the little boy, tries to hold my hand. Concerned they won’t get their food package, I sent them home. Back at the van, I ask Edmond if I can take the bag to them. He offers to join me and capture some photos on the way, only to find out seconds later, that a group already left towards their direction. An older man who wanted to avoid the crowd, asks Edmond for some clothes. He receives with dignity the ‘’please wait’’ request. During the clothes sharing chaos, he is the only one watching calm, as a father watching over his rebel children. He is 55 and is one of the few that arrived here 15 years ago. He doesn’t want to leave the slum. ‘’Nobody would hire an old man in the city’’, he murmurs. He looks me in the eyes while maintaining his tall posture. Even the stones beneath my feet would praise a man who conquered himself in such extreme adversity. Later, Edmond sends him a big and sturdy bag. Along with Raluca, another organizer, we head towards the closest cottage to the main road. The big inscription above the entrance door ‘’CABINET’’ confuses me to believe that there was a medical cabinet. We stop, ready to leave, when a smiley young guy opens the door bringing us back to reality ‘’ There is no medical cabinet around here. We found the door in the trash’’ He takes the bag and closes the door behind. We laugh at ourselves. The toys and clothes, cleaner than the people, managed to put a smile on their face. I leave the slum with a big bag, filled with the little boy’s grief, the old man’s dignity, the lovely politeness of the children from Bucium, the older women’s kindness and above all I leave with the thought that I’ll return. At the end, while our feet were following the garbage truck’s lead out, a speedy SUV took over the road as if it owned it. A glimpse of furs, golden rings, tapped hair, left behind the smell of slavery. 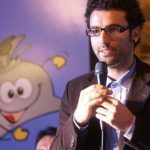 At Pata Rat there is a thin borderline between security, control and exploitation. Nowadays, about a third of the world population is celebrating Christmas. Over two thousand years ago, this was the time when hope was born, along with unconditional love and acceptance, peace and tolerance. Since capitalism took over, Christmas became the time of a Coca Cola invented Santa Clause and his red nose rein deer, who is constantly teaching us that buying lots of stuff can, should and will make us happier. This, in case we don’t fall into digestive coma after all the wonderful celebration in eating and drinking. Ah well, merry Christmas, Ho Ho Ho! Gratitude goes to Edmond Kreibik, Laura Alicu, Raluca Gheorghes, Alexandru Molnar for organizing the event and to Ioana, Ioana Florescu, Dragus Rares, Dan Clinci, Alexandra Rosioara, Elena Musca, Cristina Constantinescu, Florin Onofrei, Norbert Ferenc for sharing their hearts with us, in the field. Thanks to Ioana Muresan for filling Laura’s car with bread and to Mircea Olaru Zainescu for ”parking” the donation caravan and support. For the rest of the names I don’t know, I’m sure someone counts them carefully. In case you want to get involved click here or contact Laura Alicu, social worker, at 0723175457.